I qualified in 2007 with a first class honours degree in Nutrition and Dietetics from the University of Surrey following training at the John Radcliffe Hospital in Oxford as well as Ashford and St Peter’s Hospital in Surrey. I am passionate about health and lifestyle and making sure you live life to the fullest. After qualifying as a dietitian, I worked with the Harlequins Rugby Club, predominantly looking at nutritional impact on performance and training. Thereafter, I began a junior post at the West Middlesex University hospital working within gastroenterology and nutrition support for adults. In 2010 I furthered my training and embarked on paediatric dietetics as well. Since 2009, I have been working with both adolescents and adults suffering with eating disorders and obsessive compulsive disorders at the Priory Hospital, North London. 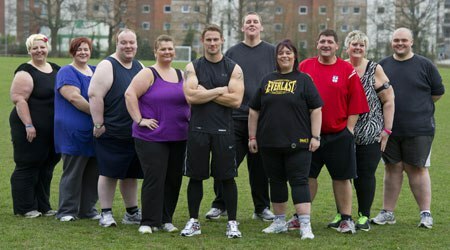 I also had the opportunity to work on the TV show ‘Obese:A Year to Save My Life’ with US celebrity personal trainer Jessie Pavelka. A completely different experience,but one that allowed me to explore promoting healthy nutrition in a meaningful yet media-friendly way. CW Nutrition was founded in 2015. Claire Bryant (nee WYLDE) is a fully registered dietitian with the Health Care Professions Council (DT 20726), The British Dietetic Association and The ICO (ZA000643). Ensuring best practice and care is offered to all patients.